When thinking about heart disease, they think about clogged arteries and junk food. However, heart disease can have other faces as well. One very common type of heart disease is atrial fibrillation. Symptoms are easily misdiagnosed and can include being able to feel your heart beating, becoming tired easily, shortness of breath, and lightheadedness. Usually these symptoms do not affect a person enough to disrupt daily life. For some people, it becomes a huge problem. If the heart jumps into this irregular beating pattern for a long period of time, blood clots can form. Blood clots that break off and travel through the blood vessels can cause a person to have a stroke. During atrial fibrillation, the heart’s two small upper chambers quiver rather than beating effectively. As a result, blood isn’t pumped completely out of the chambers, so it can pool and clot. Approximately 2.2 million Americans suffer from atrial fibrillation. The likelihood of developing this disorder increases with age. Doctors estimate that three to five percent of those over age 65 have this disorder. Atrial fibrillation can be dangerous because, if a piece of a blood clot in the atria leaves the heart and becomes lodged in an artery in the brain, a stroke can result. In fact, about 15% of all strokes occur in people with atrial fibrillation. When a person has atrial fibrillation, their ventricles are impulsed irregularly by the atria of the heart. This causes the heart to beat faster than normal and irregularly, with no coordination between the atria and ventricles. This is caused in some cases by things such as cardiac surgery, alcohol consumption, coronary artery disease, and other types of heart disease. In most patients, unfortunately, this is not the case, and there are no known reasons for the irregularly beating heart. The term for this is idiopathic. • Low amounts of oxygen in the blood. This is often found in patients with lung diseases like emphysema or chronic obstructive pulmonary disease. In addition, there are young adults who have atrial fibrillation without any known cause or any evidence of underlying heart disease. This condition is known as lone atrial fibrillation. Stress, alcohol, tobacco and the use of stimulants is believed to play a role in lone atrial fibrillation. Sleep apnea can also contribute to more complications for anyone suffering from atrial fibrillation, a condition where the upper part of the heart (the atrium) is beating out of sync with the lower part (the ventricle). To treat atrial fibrillation, the heart is cardioverted, meaning the atrium is reset to make it beat in sync with the ventricle. Over 50% of the people who have this procedure done suffer a relapse of the atrial fibrillation. In sleep apnea sufferers, that number has been shown to increase to 80%. Atrial fibrillation is a heart disorder, most often found in older adults. 1. Atrial fibrillation: The heart beats too fast and irregularly. This type of arrhythmia requires treatment and can increase risk of stroke. 2. Paroxysmal atrial tachycardia: The heart has episodes when it beats fast, but regularly. This type of arrhythmia may be unpleasant but is usually not dangerous. 3. Ectopic beats: The heart has an extra beat. Treatment usually is not needed unless you have several extra beats in row and/or other problems with your heart - such as heart disease or congenital heart failure. 4. Ventricular tachycardia: The heart beats too fast and may not pump enough blood. 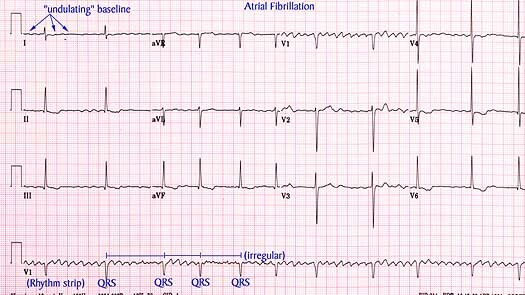 These types of arrhythmias are very dangerous and need immediate treatment. Treating atrial fibrillation is tricky, because of the risk of stroke. For most people, medications will help can the heart beating normally. If it begins beating too quickly or irregularly for a long period of time, a doctor can administer a slight electrical shock to a patient in a hospital setting to get the heart back on track. This is relatively safe and can save a person’s life. However, it is not convenient. One question that has been asked by many people is whether caffeine contributes to atrial fibrillation, and whether caffeine consumption is safe for those with atrial fibrillation. One study, reported by the UK Tea Council, suggests that caffeine consumption is safe for those at risk for the disease. This study, conducted in Denmark, examined nearly 48,000 participants, each over the age of 56. Their caffeine consumption was analyzed over a period of years, as was their health information, including whether or not they went on to develop atrial fibrillation. The study concluded that caffeine consumption was not at all related to whether or not participants developed the heart disorder. The associated researchers did not recommend that those at risk for atrial fibrillation discontinue the consumption of caffeine. This is great news, especially for green tea drinkers. Since green tea is known to be associated with a lower than average risk of heart disease, it’s wise for those at risk of any sort of cardiovascular disease to consume green tea on a daily basis. And, while green tea is lower in caffeine than coffee, black tea and soda, it does contain some caffeine. So, you’re safe to drink your green tea, both for its health benefits and its delicious and refreshing flavor. If you’re not a connoisseur of green tea yet, take a look at all the benefits that green tea can offer. • Green tea is full of anti-oxidants – which are known to reduce aging and prevent disease. • Green tea has been shown to decrease your risk of heart disease by improving your cholesterol. While green tea doesn’t actually reduce the cholesterol in your blood, it does appear to prevent the bad cholesterol from hardening into the plaque that causes narrowing of the arteries. • Green tea has been associated with a lower risk of many forms of cancer. It is believed that green tea’s anti-oxidants act as a scavenger to abnormal cells, ridding the body of them before they can mutate into cancer cells. • Green tea has been shown to have anti-microbial properties, which means that it may be helpful in ridding the body of infections. Often when you visit a Cardiologist, your doctor suggests you for echocardiography of your heart. It is basically the ultrasound of Heart to diagnose various diseases of heart. With the help of sound waves moving picture of heart can be taken. Echo is a painless and simple procedure without involvement of any radiations. There are no known hazards or risks associated with echocardiography. When you are going to echo room, you will be asked to lie down on a bed and disrobe from the waist up. Doctor or echocardiographer will place electrode on your chest to record ECG during echocardiography. Small amount of gel is applied on your chest and then a small transducer will be placed near the sternum on your chest. Transducer produces sound waves towards the heart. Echocardiographer may apply some pressure during echo on your chest with transducer. You may be asked to turn your side to left or right depending upon your technician position. You may be asked to hold your breath to take high quality pictures. Then technician will move transducer to different parts of chest to take picture of heart from different angles. Sometimes a dye may be injected before taking echo, as occasionally lungs ribs body tissue prevents sound waves to reach heart muscles. If your heart beat is too fast, then echo may give false result, so echo is avoided in fast tachycardia. A typical echo is performed in about 30-45 minutes. If you have a lung disease, obesity, restlessness or breathlessness, may result in longer test duration. During test, printed pictures are taken by technician from echo machine and later examined by a cardiologist. The drugs used to stop the irregular beating are extremely toxic and usually cannot fully help a person maintain a regular heartbeat. Therefore, most people simple choose to live with the atrial fibrillation. Medications can help control the symptoms, and doctors can suggest steps for preventing stroke. • Medications, which slow down the rapid heart rate associated with atrial fibrillation. • Electrical cardioversion - This is basically an electric shock that restores normal rhythm. It is typically used when medications don’t improve symptoms. • Drugs can sometimes restore the heart's normal rhythm. These drugs are given under medical supervision, and are delivered through an IV tube into a vein, usually in the patient's arm. • Radiofrequency ablation may be effective in some patients when medications don't work. In this procedure, thin and flexible tubes are introduced through a blood vessel and directed to the heart muscle. Then a burst of radiofrequency energy is delivered to destroy tissue that triggers abnormal electrical signals or to block abnormal electrical pathways. • Surgery can be used to disrupt electrical pathways that generate atrial fibrillation. 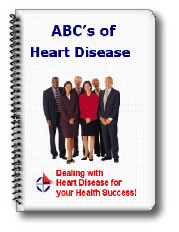 • Pacemakers can be implanted under the skin to regulate the heart rhythm. Scientists are doing research on atrial fibrillation every day. Although we do not yet have a great method of treating and curing it, the future looks bright. If you want to know more about this condition and how it can be prevented and treated, talk to a medical professional today. Many heart patients are routinely placed on anti-coagulants. Anti-coagulants help keep blood thin and flowing freely through veins and arteries; decreasing the risk of heart attack and stroke. Heart patients with Atrial Fibrillation (AF), in particular, are advised to take anti-coagulants. Atrial fibrillation is the most common type of persistent, irregular heartbeat (cardiac arrhythmia). In atrial fibrillation, the heart's upper chambers beat irregularly, affecting blood flow to the heart muscle and to the rest of the body. It increases the patient’s risk of blood clots, which can cause strokes and what is known as TIA (transient ischemic attack). TIA is what most people refer to as a “mini-stroke”, in which the patient suffers the effects of a stroke, but only for the short term. For patients with AF, the heart beat may return to normal on its own, or the doctor may use electrical shock to get the heart back into its normal rhythm. Some patients, however, do not respond to this therapy, and require anti-coagulants to prevent stroke and other complications. In addition to AF, other heart problems may also require treatment with anti-coagulants. Some doctors prescribe an aspirin each day for its blood thinning and anti-coagulant effects, but some patients require something stronger than the simple aspirin. For these patients, there are many prescription anti-coagulants and blood thinners from which doctors choose. Anti-coagulants do have side effects; the most prevalent of which is the inability of your blood to properly clot in the event of surgery, or other bleeding. It is, therefore, very important to inform your doctors that you are on anti-coagulants, and to stop taking them before you have surgery. In addition, anti-coagulants may interact negatively with other medications and cause complications. •You should not become pregnant while taking warfarin. Be certain that you’re using a reliable form of birth control while taking this medicine. If you become pregnant while taking this medicine, let your doctor know immediately. Warfarin can cause birth defects. •You must temporarily stop taking warfarin if you require any sort of surgery, including a spinal tap. •Do not take warfarin in combination with aspirin or NSAIDs, (non-steroidal anti-inflammatory drugs) unless your doctor advises you that it’s ok. NSAIDs include ibuprofen, naproxen, celecoxib, and diclofenac. Even our very common over the counter pain relievers like motrin and advil are ibuprofen, and can cause serious interactions with warfarin. Serious bleeding in your stomach and intestines can result when you combine warfarin and these drugs. •Watch what you eat and drink. This may be the most surprising consideration for patients who take warfarin. Many patients have no idea that their diet can significantly affect how warfarin works for them. Even green tea, which has received rave reviews lately for its health benefits, can have a negative interaction with warfarin because of its vitamin K level. This is important for patients to understand, because many people have begun to drink green tea for its health benefits, particularly for those with heart problems. The reason that green tea has been recommended for heart patients is because it has been shown to be effective in lowering LDL cholesterol (the bad cholesterol that clogs our arteries). In addition, green tea inhibits the formation of abnormal blood clots, which are the leading cause of heart attacks and strokes. So, we have begun to think of green tea as a healthy beverage for people who have heart disease or may be genetically predisposed to heart disease. However, we now know that those heart patients who are taking warfarin for its anti-coagulation benefits should not drink green tea – or at least should not do so without permission from their doctor. One compelling piece of information was discovered by the Department of Pharmacy Practice at the University of Florida. One patient receiving warfarin after having a mechanical valve replacement in his aorta, was progressing well with the warfarin treatment. However, his body’s absorption of the drug suddenly changed. Within one week, the patient’s absorption of the warfarin dropped dramatically. Upon examination of the patient’s diet, it was discovered that he had recently begun to drink about one half to one gallon of green tea per day. Once the patient stopped drinking the green tea, his absorption of the warfarin began to return to normal. Many people do not recognize that green tea is a significant source of vitamin K, so even if patients have been advised to avoid foods rich in vitamin K, they may not realize that green tea falls into this category. So, if you’re a heart patient, be sure to talk to your doctor about green tea. Green tea contains many healthful benefits, and can be particularly healthy for heart patients. However, if you’re a heart patient who has been prescribed warfarin, green tea could significantly reduce the absorption of your medication. If you’d like to drink green tea for its health benefits, your doctor may be able to advise you on a quantity that would be acceptable along with your warfarin. I suggest that you check the links to weight control and check through what you need to do to help your heart keep you alive. Another major nutritional support for your Cardiovascular system is Omega 3 and Omega 8 fatty acids. If you have problems with circulation then you may be amazed at the support Omega fatty acids can give you. Finally there is a lot of new information about Nitric Oxide and what it can do to support your Cardiovascular health. Dr Louis Ignarro won a Nobel Prize for his work in this area. As more information becomes available on products with Nitric Oxide in them it is worth checking it out. One of the most powerful products that assist in the management of coronary heart disease in a natural way is Omega 3 and Omega 6 fatty acids. This is a fish oil product. The science that led to the discovery of the value of Omega 3 & 6 fatty acids was done by a doctor named George Piggot in the 1970’s. 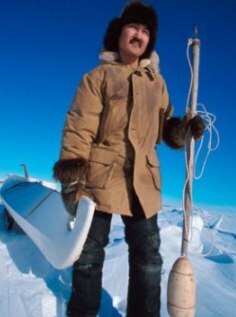 He did a study of Greenland Eskimos. He took a large trail group and separated them in half. One have stayed on their traditional diet. The other half adopted a western diet. After 6 months the half on the western diet were showing onset signs of all the cardiovascular problems the west experiences. Coronary heart disease problems that could include increased blood pressure, cholesterol, triglycerides, build up of plaque on their arteries. Dr Piggot then separated the group on the western diet and put half back on their traditional diet and left half on the western diet. Three months later the group on the western diet continued to show increasing problems but the half returned to the traditional diet had clear up all of the onset problems. Further study brought the finding that the answer was deep sea, cold water, fish eaten raw, three times a day. Cardiac syncope, or fainting that is cause by a heart condition, is extremely serious, as it could be fatal if gone unchecked. In some cases, you simply do faint because of heat, nerves, fever, or other things. However, if you faint for what seems to be no reason at all, see a doctor right away. In the past it was thought that the greatest risk for heart disease lied with men and not with women. However, in recent years it has come to be known that women, in fact, are at a huge risk for heart disease. Heart disease is actually one of the biggest causes for death among adult women. This is partly genetic, remember. Most of the people who have heart disease have a genetic disposition towards it. However, this means that even those that have a genetic disposition have a chance to get around it, and not develop heart disease. 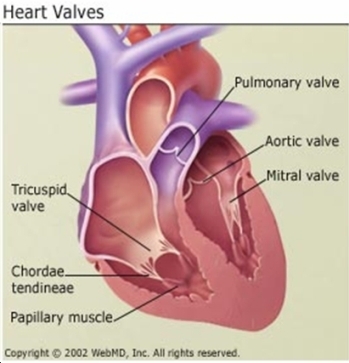 Further reading through our articles on health issues will give you a body of information that will help you decide what options you have to deal with the underlying causes of your valvular heart disease problem through giving your body the nutrition products that will assist you body to heal from the inside out. There has been a marked increase in the incidence of heart disease in recent years. Heart attacks have become the number one killer in Western countries. The disease affects people of all ages and both sexes, although it is more common in men than in women, especially among those aged 40-60 years. The human body is an intricate piece of machinery. One of the main components of our bodies is the heart. Within the heart alone there are a number of parts that must all work together to create a working organ. When things go wrong with the heart, we call the illness heart disease, and because so many things can go wrong, there are special names for each type of heart disease. SITE DISCLAIMER: Do these products “cure” anything? Of course not… but it stands to reason that if you cleanse your body and feed it the finest nutrition available, giving it everything it needs in balance, on a daily basis, that your body will do what nature intended, and give you the best possible chance to fend off sickness and disease. This atrial fibrillation your health online information is not presented by a medical practitioner and is for educational and informational purposes only. The content is not intended to be a substitute for professional medical advice, diagnosis, or treatment. Always seek the advice of your physician or other qualified health provider with any atrial fibrillation questions you may have regarding a medical condition. Never disregard professional medical advice or delay in seeking it because of something you have read. Any natural and/or dietary supplements that are not FDA approved or evaluated must be accompanied by a two-part disclaimer on the product label: that the statement has not been evaluated by FDA and that the product is not intended to "diagnose, treat, cure or prevent any disease”. The atrial fibrillation resources on this your health online site are not intended to be a substitute for professional advice. While all attempts have been made to verify information provided in this publication, neither the author nor the publisher assumes any responsibility for errors, omissions or contrary interpretation of the web site atrial fibrillation subject matter herein. The what is atrial fibrillation your health online site atrial fibrillation contents are solely the opinion of the authors and should not be considered as a form of advice, direction and/or recommendation of any kind. If expert advice or counseling is needed, services of a competent professional should be sought. The what is atrial fibrillation author and the Publisher assume no responsibility or liability and specifically disclaim any warranty, express or implied for any products or services mentioned, or any techniques or atrial fibrillation practices described.